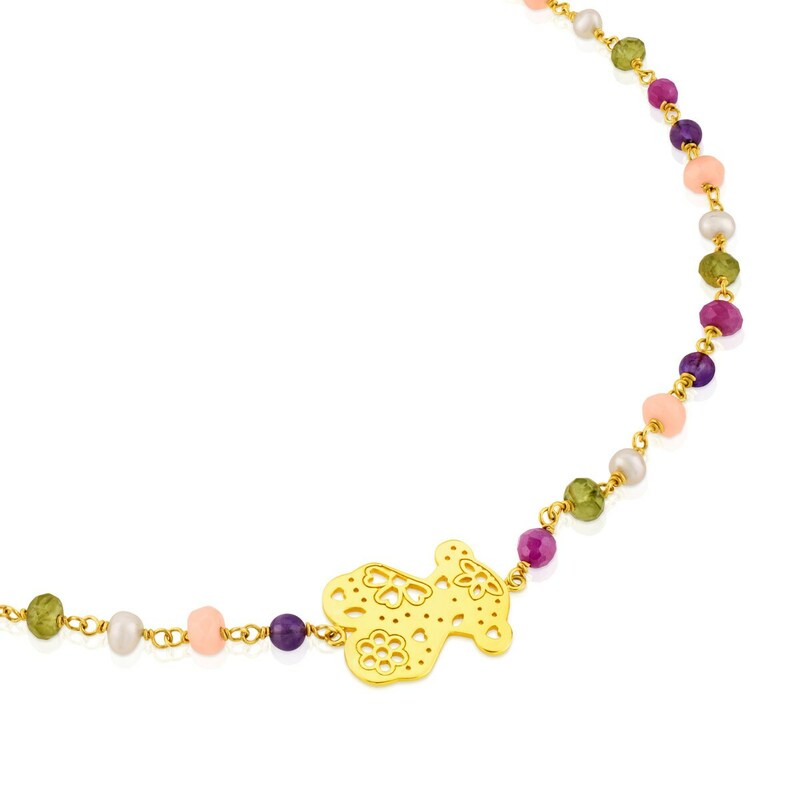 TOUS Sugar necklace in vermeil silver, gemstones and cultured pearls. Size: 1.9 cm. Length: 42 cm. 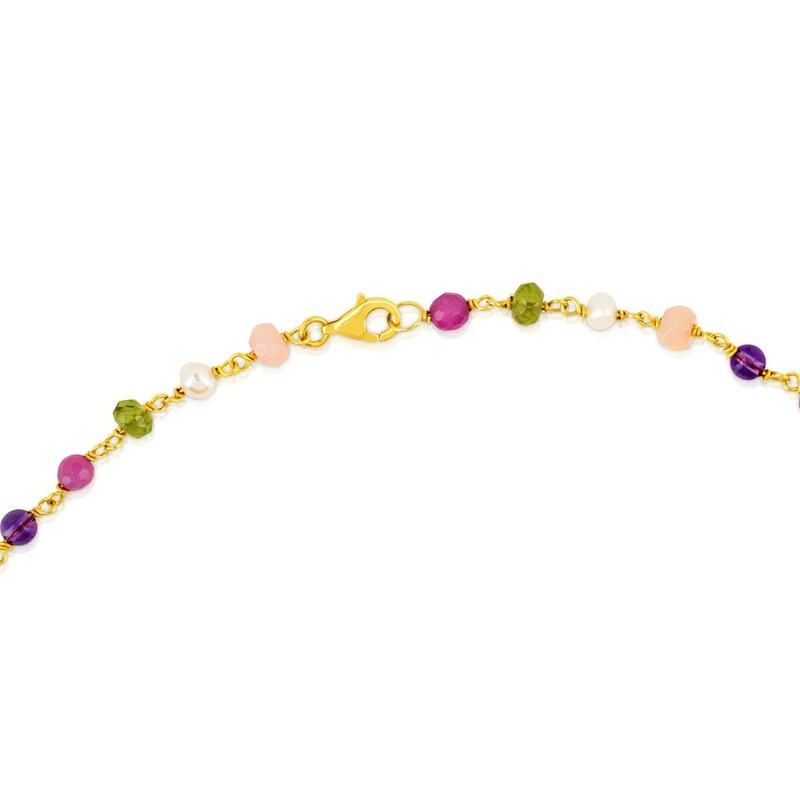 Vermeil: Sterling silver plated with a layer of 18kt yellow gold.